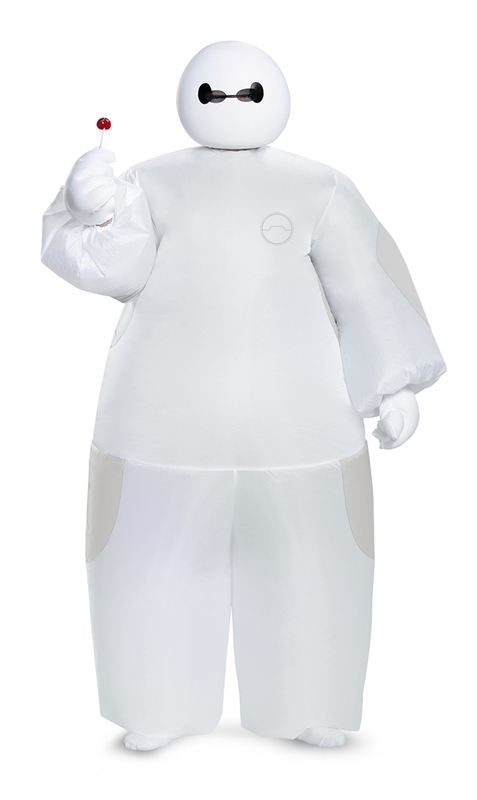 You too can be a hero with the Big Hero 6 White Baymax Inflatable Child Costume. This costume includes: an inflatable jumpsuit, Baymax mask, gloves, and battery operated air inflating fan. One size fits most children 6-10.